event, so I don't know if you are aware that you won! like to know what would be the best way to have it delivered to you? be delighted to meet you and give you the award directly. delivery address where we can send it. 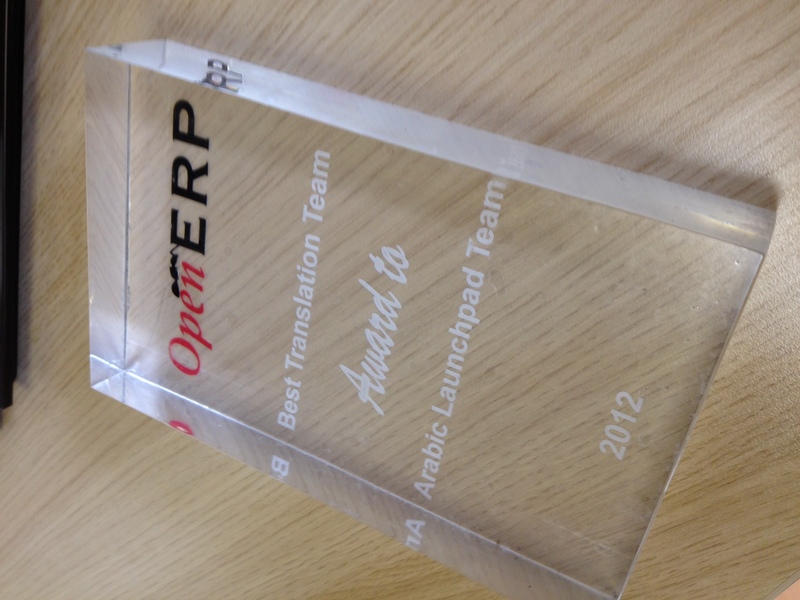 > nominated for the award of the OpenERP Best Translation Team 2012. > The awards ceremony will be held Thursday the 12th at 7PM at the main hall.